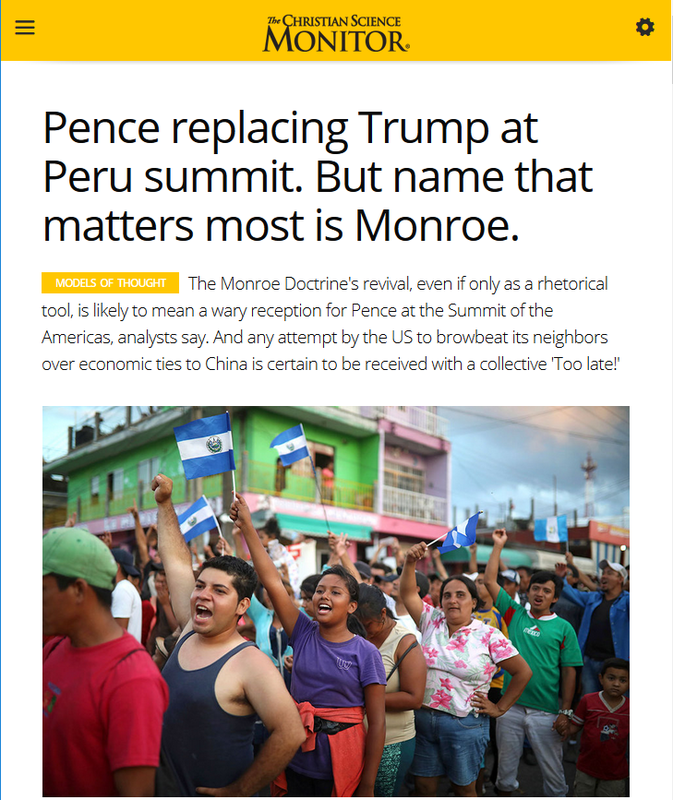 In April, the Summit of the Americas in Peru predictably led to articles fretting about declining US influence in the Western Hemisphere. Analysts were quoted (Christian Science Monitor, 4/11/18) worrying that Trump’s belligerent and racist outbursts would weaken Washington’s power in the region. On October 9, a lawsuit was filed against the United Nations in the US federal court for the southern district of New York by lawyers from the Bureau des Avocats Internationaux, the Institute for Justice and Democracy in Haiti, and a Miami law firm. The suit, brought on behalf of the families of five victims of the Haitian cholera epidemic, seeks class action status for all victims of the epidemic, which to date has caused at least 8,300 deaths and left more than 679,000 sick. Three years after its star-studded launch by President René Préval, actor Sean Penn and various other Haitian and foreign dignitaries, the model camp for Haiti’s 2010 earthquake victims has helped give birth to what might become the country’s most expansive – and most expensive – slum.